Musa Bordelon was first discovered in the Louisiana town of Bordelonville. 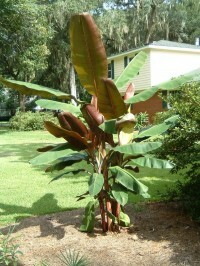 This cultivar slightly resembles Musa acuminate Zebrine, aka the 'Blood Banana.' 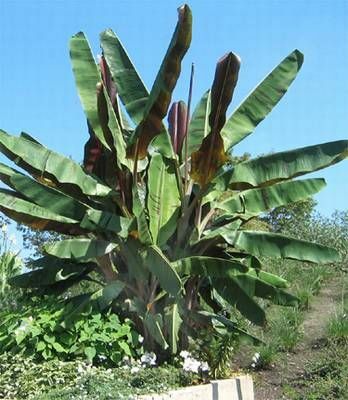 Large ornamental foliage has maroon splotches on the upper surface and even more maroon on the underside. Musa Bordelon also grows taller so it has more impact than the Blood Banana. Readily produces flowers and makes seeded and inedible fruit.